A photojournalist for the Detroit Free Press, Eric Seals has covered many assignments around the world from the Intifadas in Israel/Palestine, 5 months covering the war in Iraq, various U.S. presidential campaigns and many sports, from the Olympics in Beijing and the upcoming 2016 games in Brazil, to several Super Bowls, Stanley Cups, World Series and NBA Finals. In 2008 Seals was given a new assignment, a new challenge; make the transition from telling stories with still cameras to doing the same with video. Seals took to it immediately, watching many documentaries, reading books on filmmaking, editing and story structure and learning from others. He then started going out finding and telling stories in a way that was out of his comfort zone. Along the way he fell in love with this form of storytelling. Using motion and sound, amazing stories with great characters video, when done the right way, can make people understand life outside of their own world, make them learn something new and sometimes move them emotionally as the story unfolds in front of them. In early 2015 Seals finished his first long form documentary, "Graveyard of the Great Lakes: A Shipwreck Hunter's Quest to Discover the Past" and has been invited to screen it at film festivals around the U.S and various shipwreck and dive conventions and seminars. 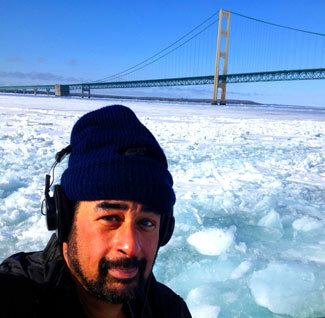 He has been recognized for his video storytelling with the Michigan Press Photographer Association's "Multimedia Photographer of the Year" a national Webby Award and nine Michigan Emmys. "Great Lakes historians say up to 10,000 shipwrecks are at the bottom and they are full of history. 74-year-old shipwreck hunter David Trotter has spent half his life hunting for them, exploring and telling their stories. 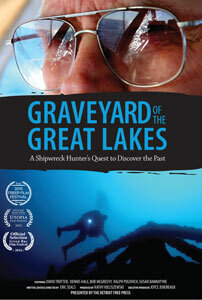 This documentary is about three of the many shipwrecks he has found on Lake Huron. You'll learn about the life and death struggle aboard for the sailors, the heroic connection to the past, and the story of a lone survivor."